Thanks to our beloved Ganoderma, thousands of people around the world are following a healthier path and living the X4ever Lifestyle. Packed with nutrients and antioxidants thanks to our harvesting methods, ORGANO’s King of Herbs helps to keep your immune system performing at its best so you can always feel great. 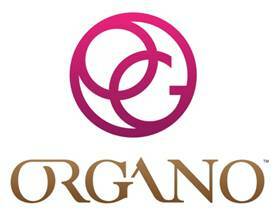 We already gave you some ideas on how to prepare some delicious desserts using our Organic Ganoderma Lucidum. 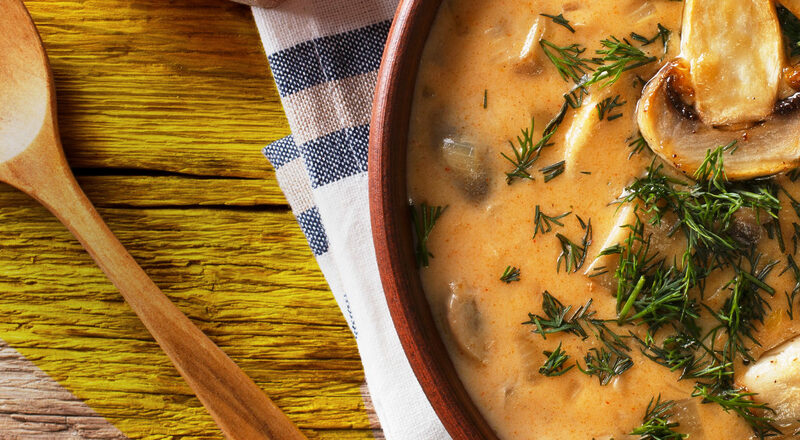 Now we want to share with you three delectable meals you can make with other mushrooms. 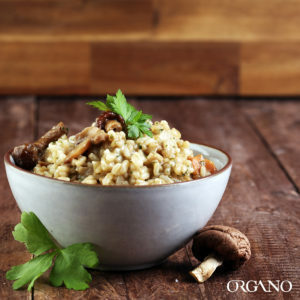 The following recipes are made with mushrooms that share some of its best properties with our Ganoderma. They are rich in fiber, vitamin B, vitamin D, and selenium, keeping your diet healthy so you can keep on beating the X Challenge. Melt butter in a deep pan and add the mushrooms and salt. Cook for 10 minutes or until mushrooms are golden brown. Add onion and cook until it softens. Stir in the flour and mix well. Add the fresh thyme and the garlic. Pour chicken stock and water over your mixture and simmer for an hour. Blend your mix with an immersion blender, adding the cream slowly until everything is well-mixed. Season with your favorite herbs. Oregano, garlic powder, salt, pepper to taste. Cut bell pepper into slices and separate the cap from the rest of the mushroom. Por the balsamic vinegar in a shallow dish and add spices to taste. Soak in the mushroom cap and pepper slices for 10 minutes. Grill mushroom and pepper slices with olive oil, marinating it with the balsamic vinegar mixture. Top the mushroom with the cheese and let it melt. Remove the mushroom and peppers when tender and put it in the burger bun. Saute diced champignons in olive oil for ten minutes over low heat. Add onion and garlic and stir for one minute. Add salt and pepper to taste. Add the farro, mix all ingredients well and add 2 cups of chicken stock. Bring mix to a boil. Reduce heat and simmer for 10 -15 minutes or until liquid is absorbed and the farro is tender. If the mix dries out before reaching the desired tenderness, add more water. Add fresh parsley, turn the heat off, mix well and serve. Don’t these recipes sound delicious? 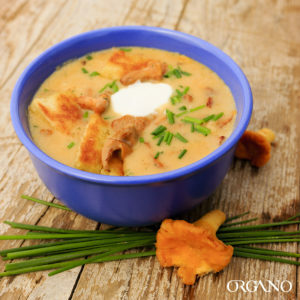 Keep living the X4ever Lifestyle with the healthy benefits of mushrooms. 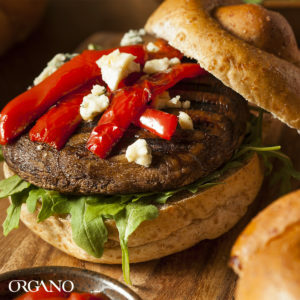 Try these healthy meals in addition to the power of the best Ganoderma infused in all our products.